Home / Market Insight, Financial Articles / Gadgets, Smartphones & Tech / Can Apple Arcade Truly Out-Earn Apple TV+? Can Apple Arcade Truly Out-Earn Apple TV+? When Apple (NASDAQ:AAPL) held its special event in March, the company’s new Apple+ video streaming service was clearly front and center. According to a report released over the weekend, another of the AAPL subscription service announced at that event is seeing a huge investment from the company, with analysts predicting it will eclipse Apple TV+ revenue. Apple Arcade may not have been in the same spotlight that Apple TV+ enjoyed, but it could prove to be the new release with a bigger impact on Apple stock. On March 25, Apple held its first special event of 2019, and as expected, its Apple TV+ video streaming service was the star of the show. The company is spending upward of a billion dollars on original content for Apple TV+ this year, making it a very big bet. Also announced at the March event was Apple Arcade. AAPL’s new video game subscription service is coming this fall, and it is promised to have 100 or more exclusive game titles at launch. The intent of the video game subscription service appears to be to further monetize the App Store’s long-held lead in mobile gaming, and to appeal to gamers who are tired of free-to-play titles with endless in-app purchases required. Apple Arcade got less attention. Not only because AAPL kept the spotlight on Apple TV+, but also because Apple Arcade seemed like a half-baked concept (will iPhone owners actually pay for games? ), and pricing details were not released. It will also be going up against other new subscription-based gaming services when it launches, including the much more heavily hyped Stadia from Alphabet’s (NASDAQ:GOOG, NASDAQ:GOOGL) Google. A report over the weekend from the Financial Times (via AppleInsider) suggests Apple Arcade is a much bigger initiative than it seemed on the surface. The $1 billion the company is investing in original programming for Apple TV+, which is seen as a big deal, but according to the Financial Times report, AAPL is also spending $500 million to ensure Apple Arcade has a full slate of exclusive games at launch. The level of investment in the service wasn’t really clear from the original announcement and it suggests Apple is serious about its new gaming service. The report also says AAPL is offering incentives to game publishers — spending more money — to ensure their titles have a window of exclusivity on Apple Arcade, and will continue doing so beyond the service’s launch. Also included in the Financial Times report were predictions from HSBC analysts. 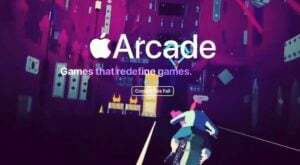 Apple didn’t release pricing for Apple Arcade, but the HSBC analysts are predicting it will cost $12.99 per month. At that price, they are estimating that by 2024, Apple Arcade could have 29 million subscribers and bring in $4.5 billion in annual revenue. In comparison, they see Apple TV+ generating $4.1 billion in annual revenue by 2024, while the Apple News+ news and subscription service hit $2.7 billion. In other words, Apple Arcade is being seen as the bigger win — despite the higher spending on Apple TV+ and the much higher level of media and public attention on the video streaming service. With softening iPhone sales, the company’s Services division is increasingly important and subscriptions are seen as a key way to leverage the billion+ Apple devices already out there. AAPL sees Services revenue as being critical to boosting revenue and driving Apple stock’s value. And it’s possible that Apple Arcade may turn out to be the real star of that Services division. Article printed from InvestorPlace Media, https://investorplace.com/2019/04/can-apple-arcade-truly-out-earn-apple-tv/.